My Money Mission: UPRINTING.COM GIVEAWAY! There's a new giveaway going on over at my other blog: My Money Mission Online. 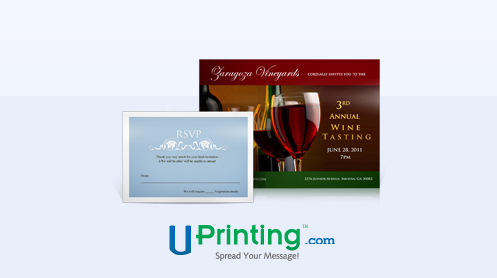 It's a UPrinting.com giveaway for 50 invitations. But, Hurry! It ends this Thursday at Midnight CST! Probably wont use it, but thanks for sharing.